For complete 4x4 and off-road vehicle services, look no further than the skilled technicians at AAMCO South Tampa, FL. 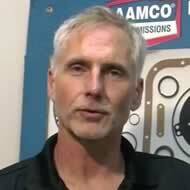 AAMCO South Tampa, FL specializes in all phases of 4X4 and off-road services. AAMCO has specialized equipment and the experience to perform complete 4x4 and off-road repairs to exacting standards on your truck or off roader. AAMCO's automotive technicians can do anything from a tune-up to a complete suspension overhaul or modifications. Our experts will fix your 4X4 to the highest standards. At AAMCO South Tampa, FL, your vehicle is then road tested to ensure proper operation and your car, truck or SUV is ready to go for miles and miles to come.